Converting 9n/2n front wheels/tires to wider tires? 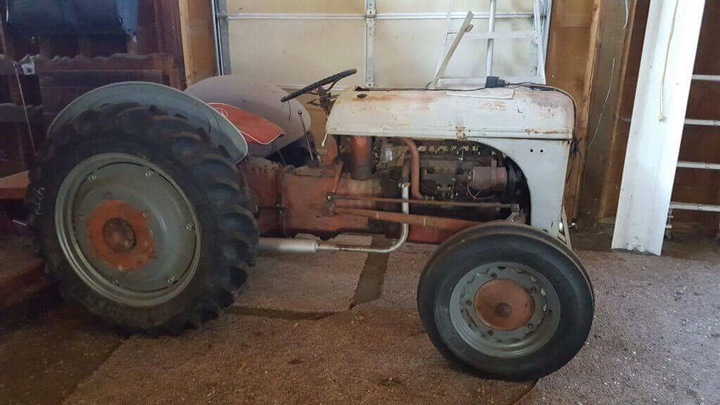 I read somewhere that there I could change out the front hubs on my 1942 2n to except a wider tire. Any suggestions? I'll send you an email so we can discuss it. I'm afraid shipping may be a deal killer though. You can swap the hubs as said, which gives you many options. There are also 16 inch rims for the 9N/2N as said. and tubes. Then I sold my 9N and have never mounted them. 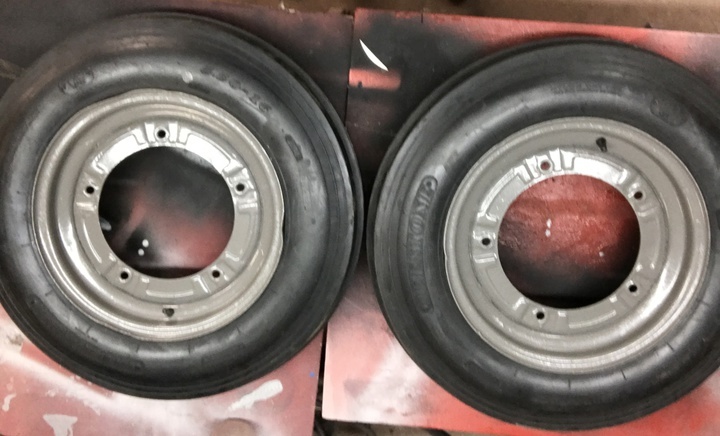 Are you looking to sell them and what size tire will fit on them I am looking for a wider tire than the originals. Or even early like 1960s Ford 1/2 ton pickup 5"X5 lug pattern front hubs with brake drums removed will fit.Then you can use the 5"X5 15" or 16" pickup rims.Maybe even later 79 80s hubs with the rotor removed will work.I don't know for sure as I have never tried them. Although rare, you can find front 16 inch wheels to fit a 9n/2n. I was lucky that mine came with a set of 16s that appeared to have been car rims cut and welded to fit my 2N. I ground down the welds and painted them. They work just fine and if/when I wear down the fronts, I’ll replace with 16 inch truck tires. Have a set or old mud grips ready to go on it! I think 8N hubs will fit right onto 9/2N spindles. The 8N hubs used the VERY common 6 on 6" lug pattern. 6 on 6 was used on a lot of bigger Ford tractors like 5000, 7000, 7600, etc and it would be easy to find 6", 8" even 10" wide rims in a bone yard. With a pair of 8" x 16" rims you could use cheap or free tires off a 3/4 ton pickup. Is it a direct conversion with the 8n hubs?